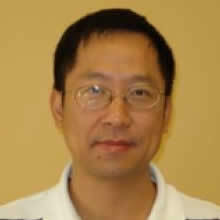 Yuan Lou, Professor of Mathematics at Ohio State University, will give a colloquium titled, "Dispersal in Heterogeneous Landscapes." From habitat degradation and climate change to spatial spread of invasive species, dispersal plays a central role in determining how organisms cope with a changing environment. How should organisms disperse “optimally” in heterogeneous environments? The dispersal of many organisms depends upon local biotic and abiotic factors and as such is often biased. In contrast with unbiased dispersal which is better understood from theoretical perspectives, we have fairly limited knowledge of the consequences of biased dispersal, especially in the context of the spatial dynamics of interacting species. In this talk I will discuss some recent development on the evolution of biased dispersal via Lotka-Volterra two species competition models.